One of my favorite things about Boise is the Capitol building located in the heart of downtown. Even though it is starting to get hidden a bit as Boise becomes a real city and grows up as much as out, when you catch glimpses of the building it is stunning. On a recent Sunday afternoon, we were driving aimlessly around Boise when we decided to go check out the Boise Depot. The historic train station built in 1925 sits on a hill just southwest of downtown and offers a clear view of the capitol and the surrounding Treasure Valley. 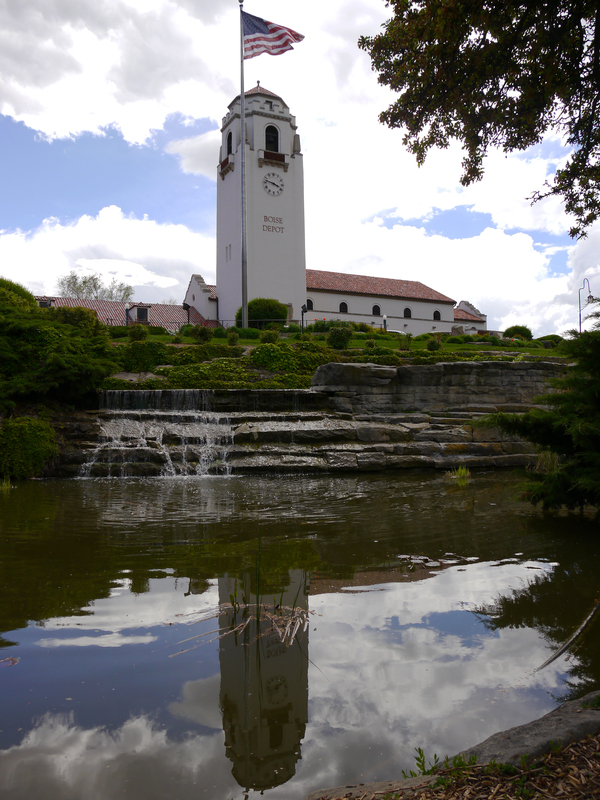 The Boise Depot reflected in one of the ponds in the Platt Garden. The interior of the building features The Great Hall which is 77 feet tall features the original Barkalow Brothers Newsstand, which has been slightly restored but remains in its original form. The current Boise Depot was opened in 1925 after a few previous iterations were located in the area. It was constructed in a Spanish style and features the Howard Platt Garden located down the hill from the building. The gardens feature multiple water features, flowers, an open grass field and views of downtown Boise. The Idaho State Capitol Building as seen from the Boise Depot bell tower. In 1990, the depot was sold to Morrison Knudsen Corporation, which then refurbished the building to return it to its former glory. 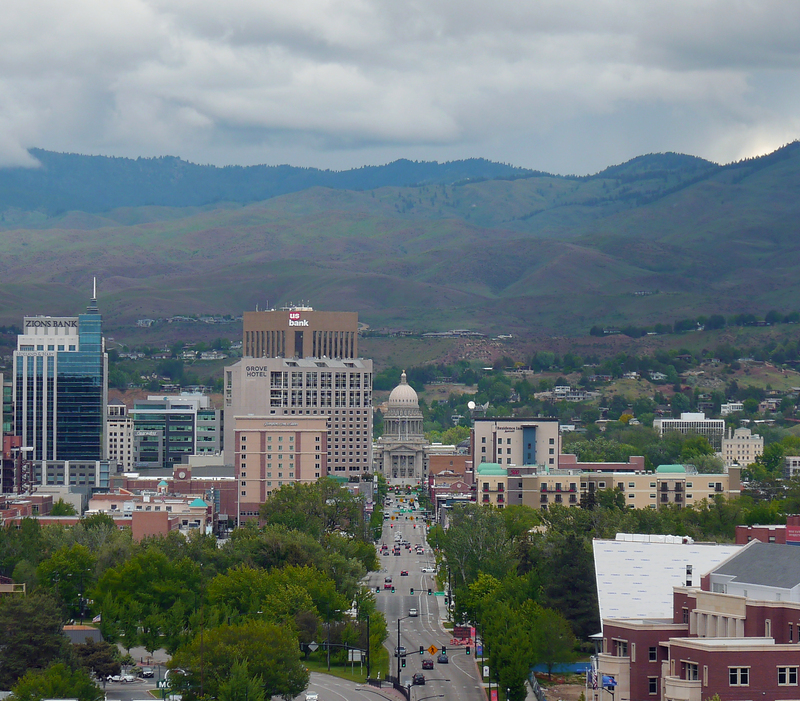 It reopened in 1993 and was then transferred to the City of Boise in 1996. The last passenger service ended in 1997, but today the building is open for tours, weddings, graduation photos, and other events. “Big Mike” a Mikado-type steam locomotive that was built in 1920 is parked outside of the Depot. It was donated by Union Pacific to the city in 1956 and eventually moved to its current home in 2007. 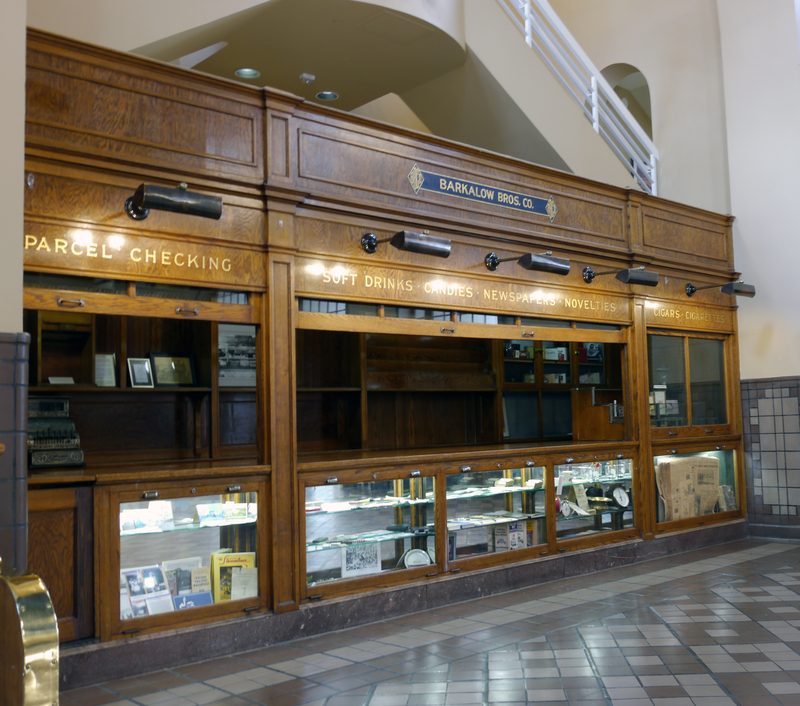 The historic Barkalow Brothers Newsstand that is in its original form inside the Depot’s Great Hall. The day we visited the bell tower was open to the public, which offers spectacular views of the surrounding mountains and valley. The Great Hall also features a bit of a museum, with photos of trains and famous people and events that took place at the Depot. The whole experience only takes about 30 minutes, but the view of the capitol and the surrounding area is worth it.